We recently have acquired EightPixelDesign.com which is a WordPress theme development shop from France with some pretty nice WordPress themes that fit well into our growing collection of magazine themes for WordPress. The EightPixelDesign website has already been redirected to the MH Themes website and all content and available themes will be fully integrated into our website. The EightPixelDesign acquisition included 3 nice magazine WordPress themes, each with a free and premium version of the particular WordPress theme: ClesarMedia, Diamond and Tuto. After thoroughly inspecting and reviewing these new WordPress themes, we have decided to retire the premium themes for now because these themes currently do not meet our quality standards and we wouldn't feel comfortable selling these themes to customers in their current state. The free versions of the themes are available for download and can be used free of charge. 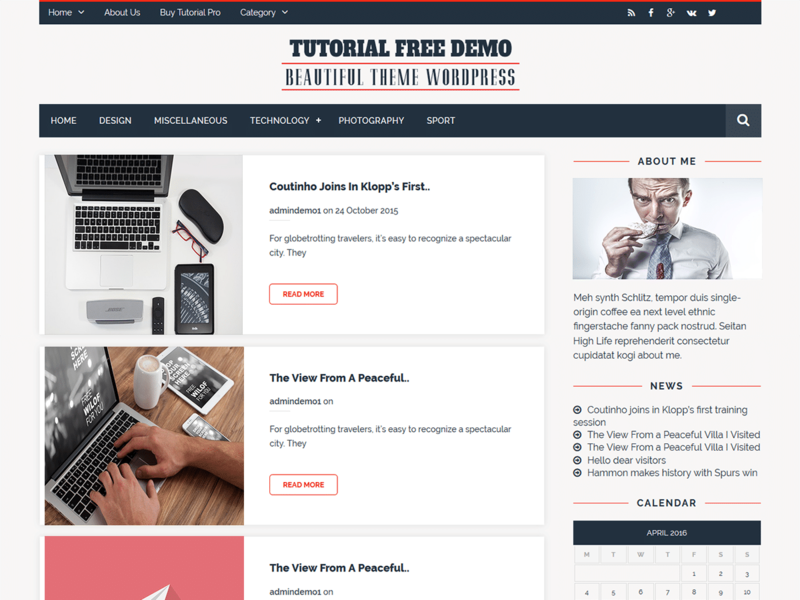 In the coming months we'll work on these free WordPress themes and improve / recode them one by one to ensure that the codebase meets our quality standards and then we'll possibly release new premium versions of these themes with additional features and customization options. 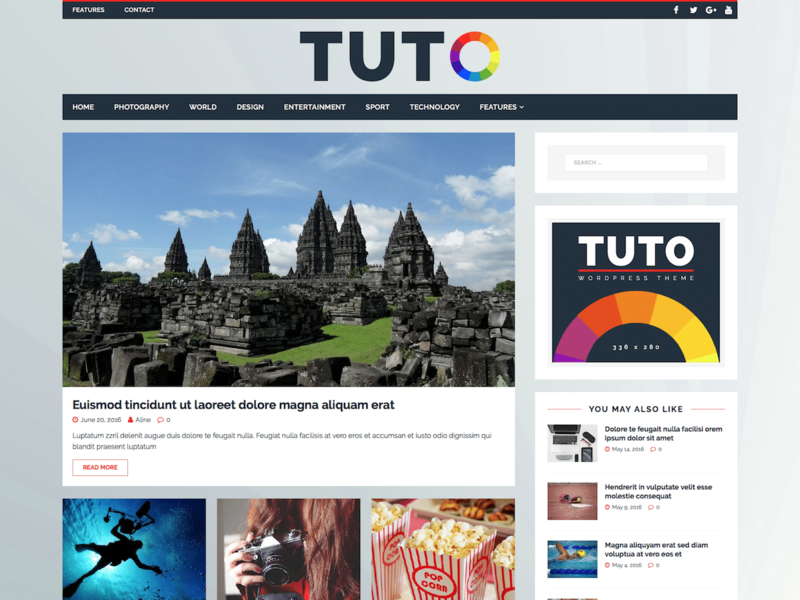 You can download this free magazine WordPress theme from the particular theme page and use it on your website as you like – it's completely free of charge and we hope that you like the Tuto theme and use it to create awesome magazine or news websites from all kinds of content genres. If you've previously purchased a WordPress theme from EightPixelDesign and would like to get access to your purchased WordPress theme, please contact us and our support team will be more than happy to create a MH Themes account for you right away where you can download your theme files for further usage. Through your account you'll also have free access to the recoded premium versions of the particular EightPixelDesign themes in case these will be available in the future. In addition we have a special offer until July 31st, 2016 in case you would like to use premium WordPress themes by MH Themes instead. If you're a EightPixelDesign customer, you will get a $29 discount on your MH Themes purchase if you decide to purchase a premium WordPress theme by MH Themes until July 31st. For more information and in order to get your discount, contact us.